Italy-German yield differential is putting EUR under pressure. German ZEW surveys can have a great influence on EUR empowerment. 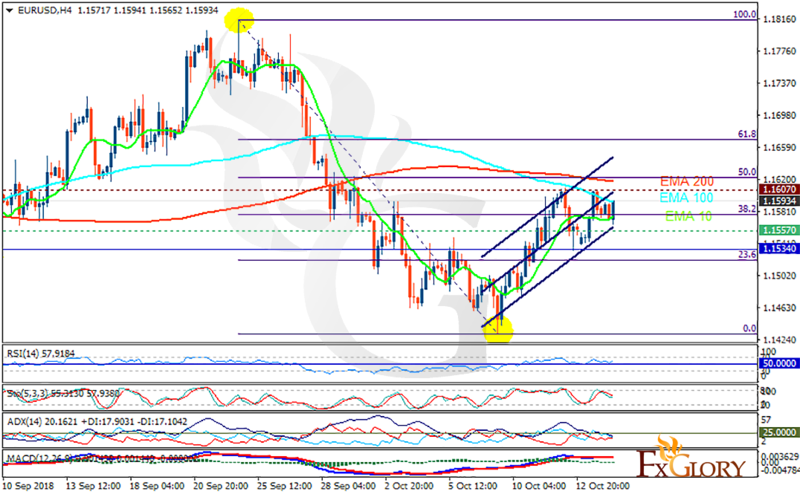 The support rests at 1.15570 with resistance at 1.16070 which both lines are above the weekly pivot point at 1.15340. The EMA of 10 is moving horizontally in the ascendant channel and it is below the EMA of 200 and the EMA of 100. The RSI is rising towards the overbought area, the Stochastic is moving in middle ranges and the MACD line is below the signal line in the negative territory. The ADX is not showing any clear signals. While there would be pullbacks on the way, EURUSD is gradually growing towards the 61.8 level of Fibonacci at 1.166.